Summary of the services which we offer through our Women Together group. If you cannot find what you are looking for please get in touch with us and we will be happy to help. There was high demand from the local women wanting to participate in aerobics sessions so alongside other health and weight management clinics we started to run the aerobics class in partnership with other local organisations. There are not many activities aimed at the older women in the Sparkbrook area so we set up the Lunch Club for women over 60 to socialise and meet other women, to get out of their houses and integrate. They are supported to go to organised lunches at venues & events with lunch and transport paid for. The women have the opportunity to voice any concerns or issues they have. They are supported and made aware of benefit entitlements and other age-related benefits. 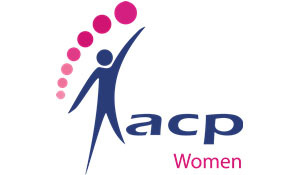 Was developed through 6 week self esteem and confidence building programme which was aimed at women suffering low level depression with the objective of building women's confidence through meeting other women, socialising, outings and other confidence-building exercise also to create a social network for the women to help them integrate with other female service users. The programme was a big success and the women decided to continue meeting on a weekly basis to further progress and to keep that network and to motivate other women to join. A parenting programme developed for ethnic minority communities. SFSC is a community-based programme which promotes protective factors associated with good parenting. It is a 13-week programme designed to strengthen parenting skills. The programme is aimed at parents / carers / grandparents of children under 18 years old. Providing the parents with the skills and information to empower them. Improving relationships in the family through positive discipline, incentive charts, positive communications, clear instructions, preventing and managing behaviour problems. Certified certificates are provided through Race Equality Foundation for participants on completion of the programme. The annual event brings together women from different cultures, ethnicity and religion coming together to celebrate Internation Women's Day to connect and share their experiences and stories. Over 450 women participate. The event is very popular and tickets are usually sold out within a few days. We celebrate with multicultural food, dancing and music. We invite local organisations to have stalls so they can inform the women of their services and the women are made aware of local opportunities. We hold ceremonies for local women's achievements and present then with certificates of appreciation and flowers. Aimed at women with young children. A visit to Santa's Grotto, Birmingham's German Market and the Museum. Informing, encouraging and motivating local women to join local Birmingham City Council leisure centres and supporting them to acquire leisure cards, to join the Be Active scheme and access free gym sessions. The women were encouraged to go to these sessions independently or they were paired with other local women. Through meetings with other partner organisations it was established that there was a need for women that were suffering from moderate mental health (possibly on anti-depressant medication), we set up a referral process where the GPs / Caseworkers were able to refer women to our Arts & Crafts group. The women had an opportunity to meet in a safe and friendly environment where they were able to learn various new skills such as bag making, flower arranging, canvas painting, patchworking and quilting. The aim of yoga is to improve women's physical and mental health well-being. As there were no other yoga sessions available locally we decided to run the sessions in partnership with a local school. Very popular with a very high demand from the local community. Around 200 people attending and some locals being put on a waiting list for the next trip. Over the past few years we have been to Blackpool, Rhyl and Weston-super-Mare. A four day residential to Dunfield House which is set in the countryside. Through consultation with the community it was identified that service users who have come from abroad, and have settled in the UK, miss the rural village atmosphere. One of the reasons these families go abroad very frequently was to enjoy the village life: on return to the UK they had problems with the education authorities over staying abroad etc). The aim of the project was to show local women the beauty of the UK countryside and encourage them to have more holidays closer to home. We delivered Level 1, 2 and 3. This course was for Engagement Mentors to assist them to formalise their relationship with the mentee. The course entailed the EM learn about their own strengths and motivations for being a mentor and areas for personal development and possible barriers to mentoring. The course is also about the EM to identify and use active listening skills, using open and closed questions, using non-verbal communication skills and identifying potential for discrimination and how equal opportunities couuld be used. It also gave the mentors an opportunity to learn and explain how diversity may enhance a mentoring relationship. We run a series of workshops based on arts &amp; crafts aimed at those women who have low level depression or anxiety. This leisure course consists of a rolling programme of arts &amp; crafts activities. The sessions are based on making floral hanging baskets, edible baskets using tomato plants along with floral plants. Flower arrangement using dry / artificial flowers and fresh flower arrangements. For most of the women who attend the course this is the first gardening or floristry based course the participated in. Informing, encouraging and motivating local women to join local Birmingham City Council leisure centres and supporting them to acquire leisure cards, to join the Be Active scheme and access swimming sessions. Over a cup of tea/coffee and cake/fruit, in a perfect atmosphere where the women feel relaxed and comfortable to discuss a wide range of issues that concern them. They have the opportunity to select speakers from various different organisations to do workshops / consultation / presentation. Some of the most popular workshops are around health, policing, politics and substance misuse. The women attending are from various different backgrounds. Some have additional needs and some need a lot of one-to-one support. Obesity, diabetes, blood pressure and depression are some of the major health problems local women face in Sparkbrook. To improve women's physical and mental health we have set up the Walking Group - the perfect activity for women to go for a leisurely or a brisk walk. The activity is so popular and the women have seen a difference in their health. They feel good, have more energy, and feel less stressed and able to manage their weight better. The women have set up additional daily walks independently of SWT to get the maximum out of walking. This course was also delivered at Level 1, 2 and 3. The course was for those women who had been out of work for a sustained period, or those who have never had a job, to gain the confidence and ability to look at themselves, assess the skills they do have, and see the potential of the transferability of these into a work situation. This type of pampering sessions are put on when we have the funding. These are aimed at women with low self-esteem, confidence and those women that would not normally get this type of opportunity. This course was delivered at Level 1, 2 and 3. To achieve successful completion of the evaluating mentor relationships unit, the learner was firstly required to demonstrate their ability in discussing and evaluating the mentoring relationship. Secondly they were required to evaluate their personal skills used in the mentoring relationship, and lastly to create an action plan clarifying personal needs and goals. Sparkbrook Women Together believes it is important to instill the practice of when a person is working in a supportive role that they do not become bogged down in the situation. It is key to their well-being and development to have their own needs and goals reassessed.